WHATSAPP IS BANNING people under the age of 16 years from using its app in Europe. The popular messaging service is raising the minimum age at which people can register to use it from 13 to 16, ahead of new data privacy rules coming into force next month. In a statement explaining the change, WhatsApp said people living in Europe “must be at least 16 years old to use our services”. The minimum age of 13 is remaining in place outside Europe. “In addition to being of the minimum required age to use our services under applicable law, if you are not old enough to have authority to agree to our terms in your country, your parent or guardian must agree to our terms on your behalf,” the statement notes. A separate statement notes: “WhatsApp cares deeply about your privacy and security. Every message and call is secured by end-to-end encryption so that no one, not even WhatsApp, can read or listen to your conversations. In terms of data sharing, the statement adds: “We are not currently sharing account information to improve your product and ads experience on Facebook. As we have said in the past, we want to work closer with other Facebook companies in the future and we will keep you updated as we develop our plans. Earlier this month, the Office the Data Protection Commissioner said it was “actively supervising Facebook’s progress in cleaning up its act and ensuring users’ data is protected“. Up to 45,000 Irish Facebook profiles may have been impacted by the Cambridge Analytica data breach which affected some 87 million users worldwide. 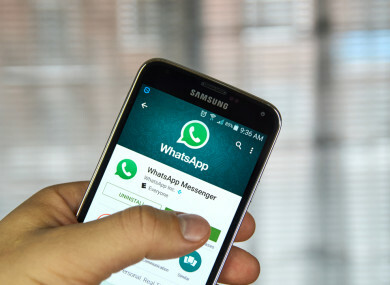 Email “WhatsApp bans under 16s from using its app in Europe”. Feedback on “WhatsApp bans under 16s from using its app in Europe”.